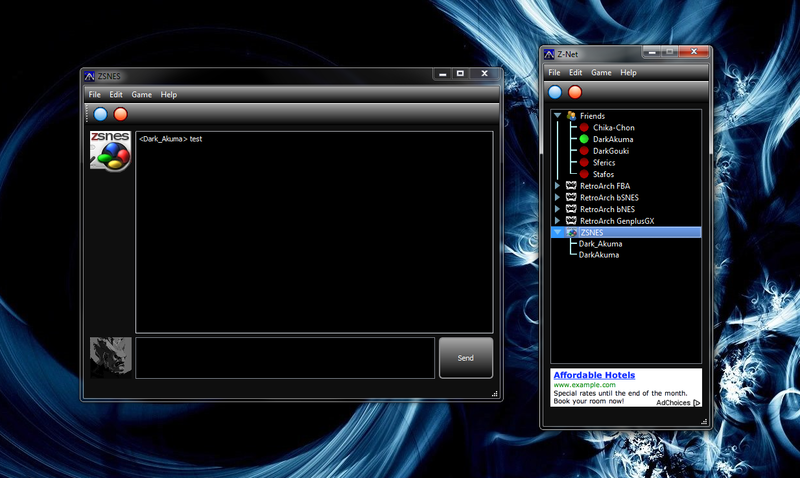 Z-Net 3 is a program in development for Windows (Mac and Linux possible at a later date). It's purpose is to provide a central Chat Room/Instant Messaging based hub, primarily for online multi-player with video game emulators. From this hub it will quickly and easily launch those online multi-player sessions. 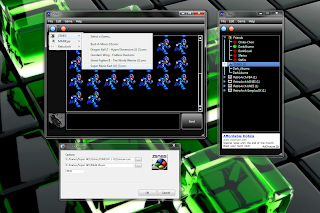 Z-Net 3 will support a unlimited number of emulators through use of addons. Such addons will be released by Z-Net or anyone with the skill and desire to make them. At this point in development this is uncertain. DarkAkuma is working with several during development, but none are final. However since Z-Net 3s addon setup is open, anyone in the community can add support for a emulator of their choosing. 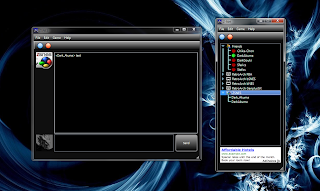 During development, and beta stages only one emulator will be selected and focused on. The aim is to be a more diverse project in terms of emulator support. Instead of focusing on just the Super Nintendo/ZSNES like zbattle and Z-Net I, it will support virtually any emulator that has a form of peer-to-peer online multi-player. The interface will be vastly rethought, and attempt to make things easier, more modern, and visually appealing. The development time isn't being rushed. This should, hopefully, lead to a more well thought out and bug free program. Like all Z-Nets, IRC will be the backbone of the program. At this time the release date is unknown. The program is being coded using Qt. This library lends itself very well to programs being made cross platform compatible. But plans are only for Windows right now, with other platforms to be considered later. Allowing user UI customization should be much easier to add thanks to Qt. Supporting rooms for languages other then English is planned. This is taken into consideration as Z-Net 3 is developed further, but this aspect of the project will take a backseat for awhile. Along with this there will hopefully be support for different languages in the UI from the installer. Z-Net 3 is written in C++, like Z-Net I. And thus advancements and ideas will be taken and considered from Z-Net I. A hope is for emulator authors to create their own Z-Net 3 addons for their emulators, and manage those channels. At this time there has been no contact with and discussion with emulators authors. So the odds of this happening are unknown. Vague plans are to proceed without relying on this, but maintaining a willingness to pass off "Official Addon of ****" to authors on request. Support for non-English languages is a feature currently thought to be more community maintained. Where normal users would submit UI translations and assume duties of maintaining those channels. It's also hoped that users can host their own channels for different purposes. Like around tourneys, leagues, clans, etc. The details of this haven't been completely ironed out yet.